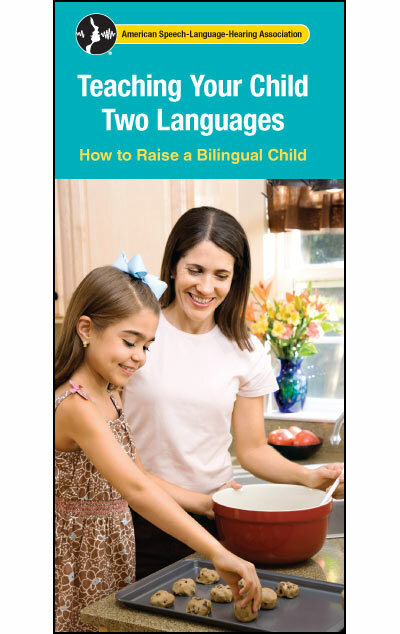 Written in plain language in question and answer format, this brochure is for parents and caregivers who are raising a child who is bilingual. It assists in teaching children two languages and explains what it means to be bilingual. It outlines how language development may differ in children who are bilingual, and how to recognize if professional help might be needed. It helps parents find an SLP and gives advice on how to choose one. Space to personalize with your contact information.